We would like to congratulate Delta’s Sales Manager, Jake Ettelbrick, on his recent marriage to Natalie Turner. 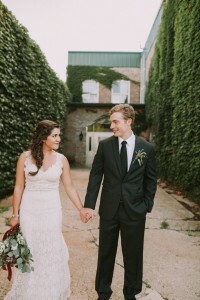 Jake and Natalie met at Judson University in Elgin, Illinois. Jake has been with Delta since May, 2015. He has worked his way through the ranks to understand both the operations and sales sides of our company. We are proud to have him as part of our team and wish him and Natalie all the very best. Feel free to give Jake a call to say hi and congratulate him. Don’t ask him if he is wearing khakis, rather how he can help save your company money by using our amazing products.